Posted in: Nature, Outdoor adventures on January 30, 2019. If you’ve been reading our blog, then you probably know that we talked a lot about arches last year. 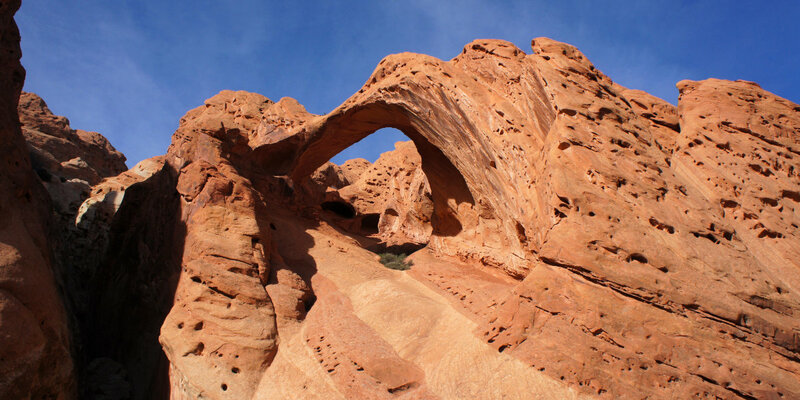 We explored how they form, and mentioned a few of the best arches around the area. So, if you’re as big of a fan of natural arches as we are, then you’ll be happy to hear about Upper Mulley Twist. 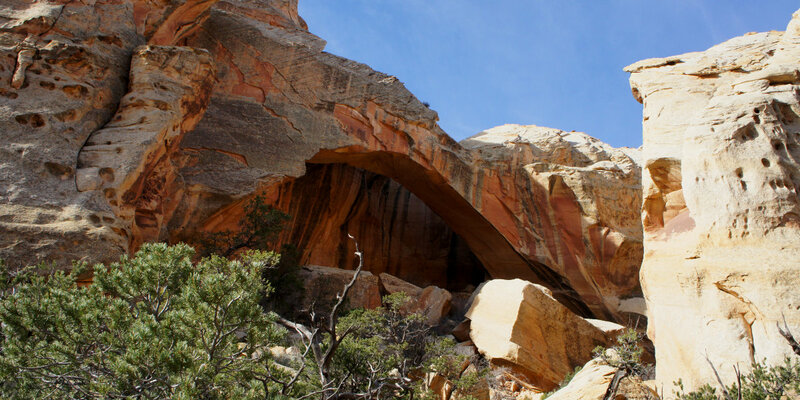 It’s basically the “mother lode” of arches in Capitol Reef. It’s a bit tricky to actually get to the Upper Mulley Twist trailhead, since it’s located in the remote Strike Valley. 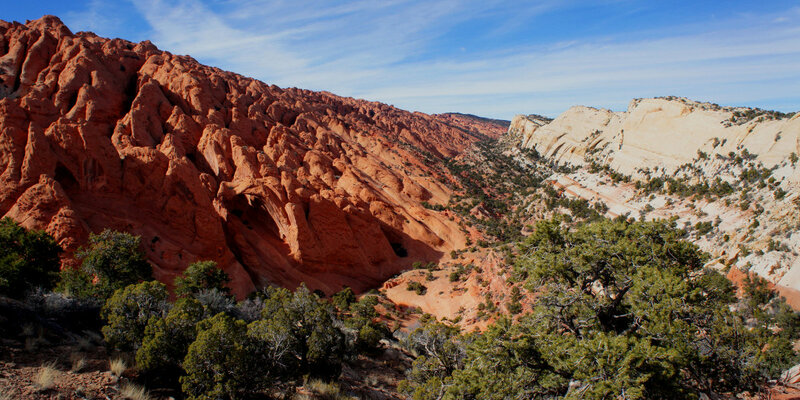 You have to drive the Burr Trail (which we always recommend, by the way) from the Capitol Reef Visitor Center past those notorious switchbacks. The turn-off to Upper Mulley Twist is clearly marked. It’s a primitive, three-mile road to the trailhead. But you’ll need a high-clearance 4WD vehicle to drive it. (You can get part of the way with a high-clearance 2WD vehicle, but the there are some big rocks near the end of the road which will stop most 2WD cars. So take a truck if you can.) Once you conquer the access road, you’ve made it to the Upper Mulley Twist trailhead at Strike Valley. Ok, first things first. You’ve got to hike to the Strike Valley Overlook. It shares the same trailhead as Upper Mulley Twist, and you’ve come all this way, and it’s only a half-mile hike. So you had better do it. 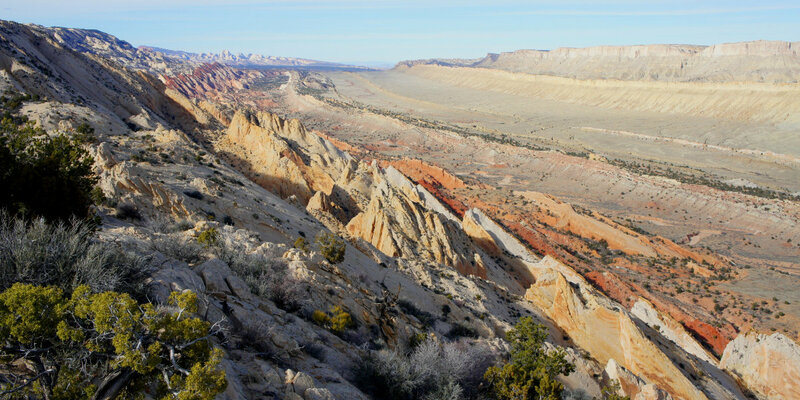 It might just be the best view in the whole of Capitol Reef! The next arch is Saddle Arch! Which is our favorite. It just looks so cool. After that you’ll see Shy Arch, which is very obvious, and not shy at all. Then it’s Dome Arch and Cap Arch. And after that, it’s the very impressive narrows of Upper Mulley Twist. Did we forget to mention the narrows? Right, well, we told you this was the mother lode! And that’s it! 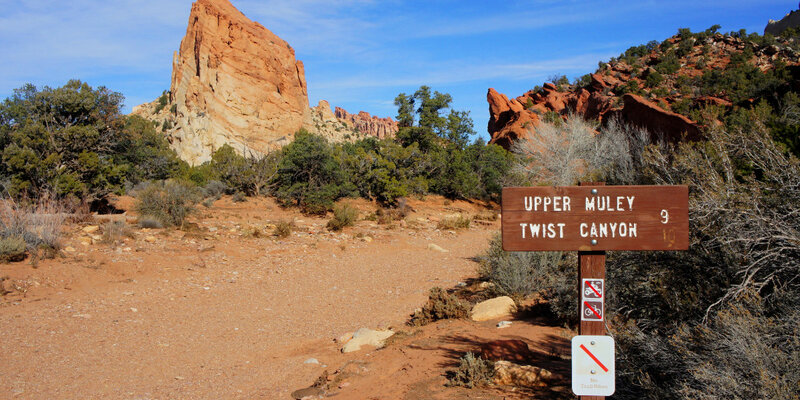 Complete the loop, and drive back from the wilderness and the many arches of Upper Mulley Twist. If you want more details, check out the official NPS page, or the very excellent write up at liveandlethike.com.